Kale is the new baby spinach: it's taken over salads everywhere, and for good reason. This nutrient-dense vegetable is a member of the brassica family, which also includes cabbage, broccoli, and watercress. Recent studies show that people who eat more brassicas tend to have less cancer. Not only that, but kale and other brassicas can actually clear air pollutants from your body. While a well-made kale salad is a joy to bite into, too often we're served bowls of roughly chopped and tough green leaves with a thin sheen of oily dressing. If you want to make kale salads so that the greens are tender enough to easily bite into but still retain a little snap, there are two techniques you need to put into play ASAP. Both are a boon to the lazy cook, too. I got this tip from one of the cooks at the Veggie Grill, where they make a phenomenal salad with kale that's somehow always tender-crisp. 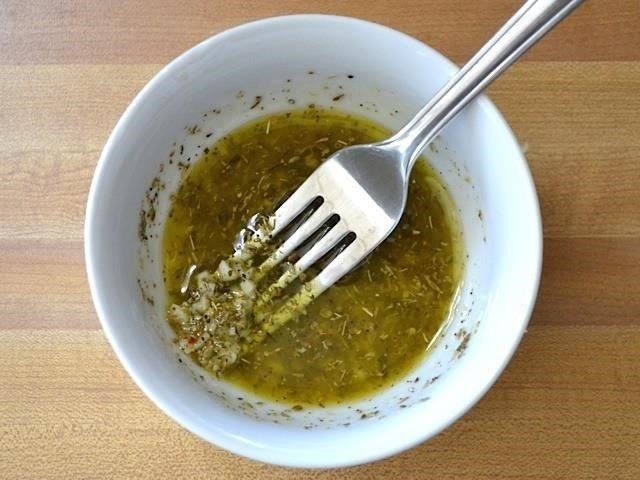 First, buy or make a really good vinaigrette. Your dressing should have some kind of acidic element, like lemon juice or apple cider vinegar, since the mild acids will help soften the kale. Next, wash the kale leaves thoroughly, tear out the center ribs, and chop or break apart the leaves into bite-sized pieces. 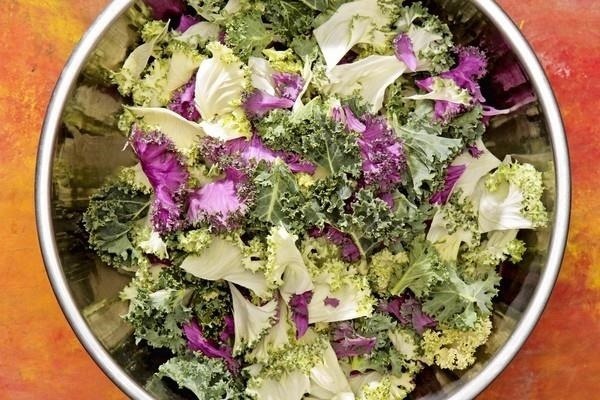 Place the kale in a large container where you'll be able to toss the leaves easily. You really need lots of room. Pour the dressing all over the leaves and toss, toss, toss. Use chopsticks if you feel so inclined. 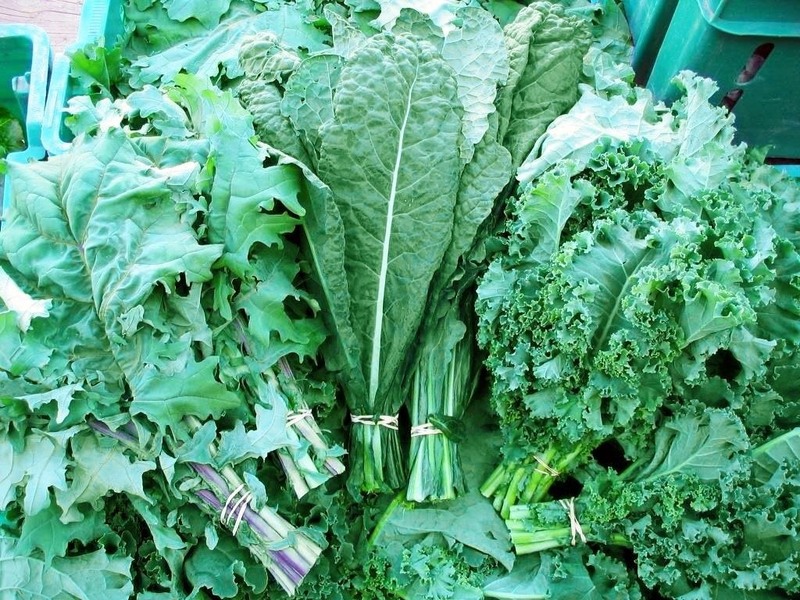 Don't drown the kale: there should be a light coating on each leaf. Cover the salad and refrigerate it. A few hours is fine, but overnight is even better. The next day, you can add the rest of the ingredients to complete your salad that might otherwise not do so well sitting in oil. And the nice thing about kale's hardy nature is that if you have leftovers, the leaves will be fine for another day or two. Both people and food thrive when given some TLC. You know that we strongly recommend giving your protein a bath or a rubdown to add more flavor. Now it turns out that when you massage kale, it becomes tender. Just take sections of kale in each hand (with the ribs removed) and rub them together for up to five minutes as America's Test Kitchen recommends. Russ Parsons at the Los Angeles Times says to grab bunches of it in your hands, squeeze, and then rub them together. In both instances, you'll start to see the leaves turn a darker green and lose volume. As Parson explains, the massaging action breaks down the cell structure of the kale and wilts the leaves ever so slightly. He also says of the process: "The flavor changes as well. That pronounced bitterness mellows, revealing some of the same depths of sweet green flavor you normally get only through long, slow cooking. In fact, the best way to know when you've massaged kale long enough is to take a bite. The color and texture changes can happen before the leaves are completely softened. But taste doesn't lie." I'm going to stick with my overnight marinating, but it's good to know that the massage technique will work in only a few minutes if I'm in a rush. Who knows? I might even combine the techniques just to see what happens. I think that this technique would also work well on other rugged greens that might need softening up before going in a salad: chard, beet greens, or even turnip and mustard. 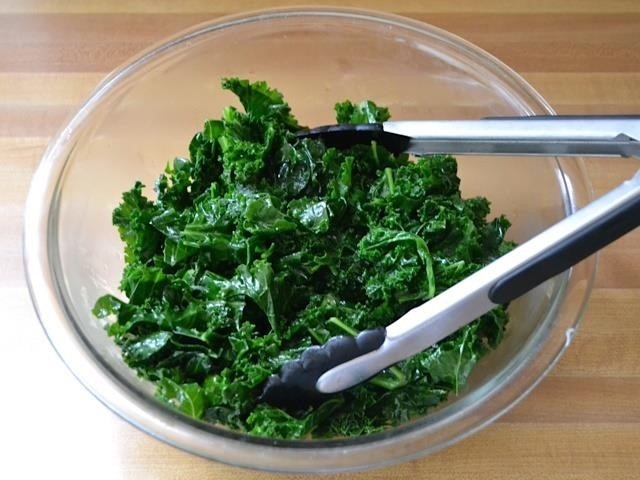 What do you think about marinating/massaging kale? Now, if you're in a mood for something other than kale salads, try sautéing it with olive oil, onions, and garlic for a yummy hot side dish. If your kale is looking kind of old and wilted, you can try reviving it or just turn it into slaws or smoothies.